Both on Amazon, used and for cheap. Have wanted the Nashe book for at least a year. Halfway through it now, and very happy. He was an acerbic little guy-- feels different to me than Kit does. Kit's worldly bad boy persona feels like a brittle skim coat to me; not so with Nashe. Anyway, book is big fun. 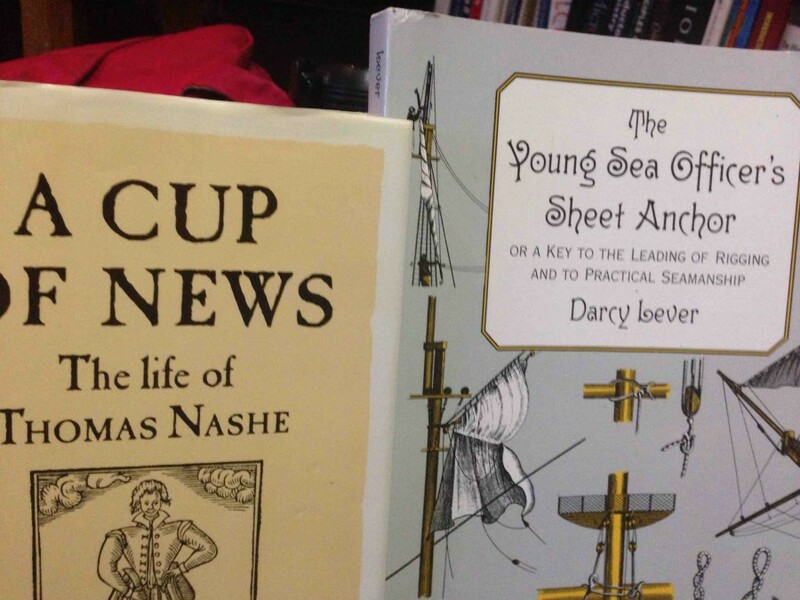 Some day I shall have to get a copy of The Young Sea Officer's Sheet Anchor! Now that I'm retired, I might actually have time to read it... research of course for the Stone Island Sea Stories. It is quite intimidatingly dense. What I have is copy of an early edition-- 1819. The first edition came out in 1808. A little late for Horatio to study, but something he might read with interest in later life-- like you and me!